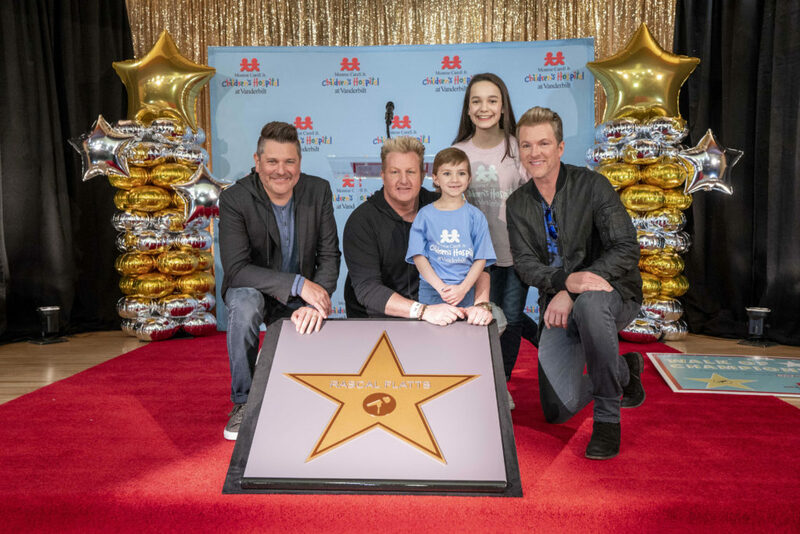 Rascal Flatts received a star on the Walk of Champions at Monroe Carell Jr. Children’s Hospital at Vanderbilt on March 28th. Presenting the award were representatives from Live Nation and Children’s Hospital. 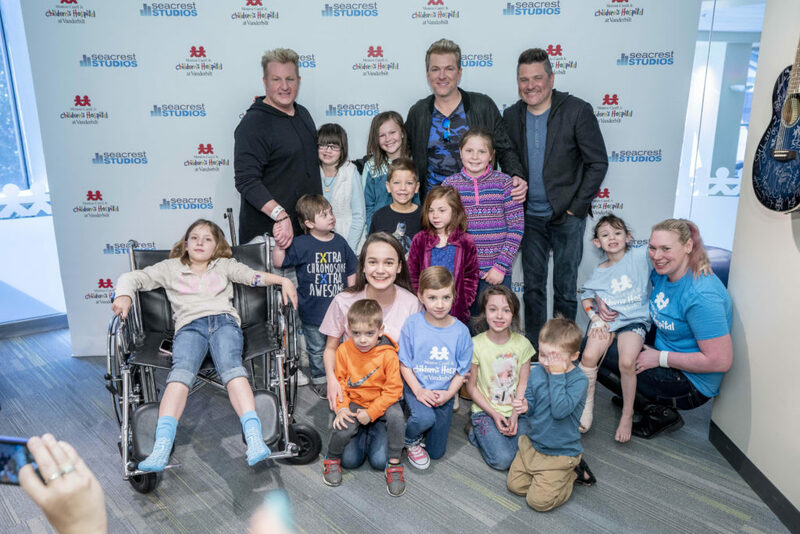 For over a decade, Rascal Flatts has donated their time and resources to support Children’s Hospital. They’ve spent hours performing for patients, visiting hospital rooms and doing interviews at the hospital’s Seacrest Studio. For 11 years, Rascal Flatts hosted Behind the Music, a fundraising event for the hospital, and most recently, they have hosted the annual Rascal Flatts Celebrity Golf Classic, now in its third year. These events have raised millions of dollars for Children’s Hospital, which renamed its pediatric surgery center The Rascal Flatts Surgery Center in 2010. The celebrations continued into the evening with the Center Stage Gala, a special event created to celebrate Rascal Flatts and this honor. Presented by Live Nation, the event took place on the stage of Ascend Amphitheatre and featured CMT’s Cody Alan as emcee, a performance by Jeffrey Steele and a surprise appearance from Vince Gill. Funds raised from the gala benefited A Campaign Against Childhood Cancer at Children’s Hospital. 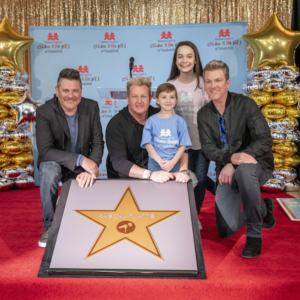 It was an emotional evening as Brock personally thanked Rascal Flatts for their generosity, and a childhood cancer survivor spoke about the impact Rascal Flatts had on her hospital stay. A video shown during the program featured friends and family commenting on the group’s philanthropy, along with Children’s Hospital patients and staff members thanking them for their support.